It is late 1940 and the location is the Cumbrian town of Keswick. Britain is at war with Germany. The Germans stand on the north coast of France looking across the Channel to a 'Britain at Bay'. Keswick, in northern Lakeland, has many of its menfolk away in the Forces. But it is a 'reception area' for evacuees. Many people go away and others come in their place. It is a society on the move. To some extent Keswick has become a matriarchal society - or at least so some of the women would like to think. Among the evacuees billeted in the midst of this newly evolved matriarchal society are schoolchildren from the North East. There is also the whole of a 'posh' Girls School from Sussex - Roedean - housed at the 'posh' Keswick Hotel and Shu-le-Crow House. There are also German refugees - one of them teaches German and music to the Roedean girls (known locally as 'Rodents'). There is a new, popular - and young - G.P. in town. Apparently he cannot join the Forces because of asthma. But is this German teacher all that she seems to be? Why does she play the music of German composers on the piano? Is the new town doctor all that he seems to be? Why does he want to know what everyone thinks? What will the menfolk say when they come back home on leave? 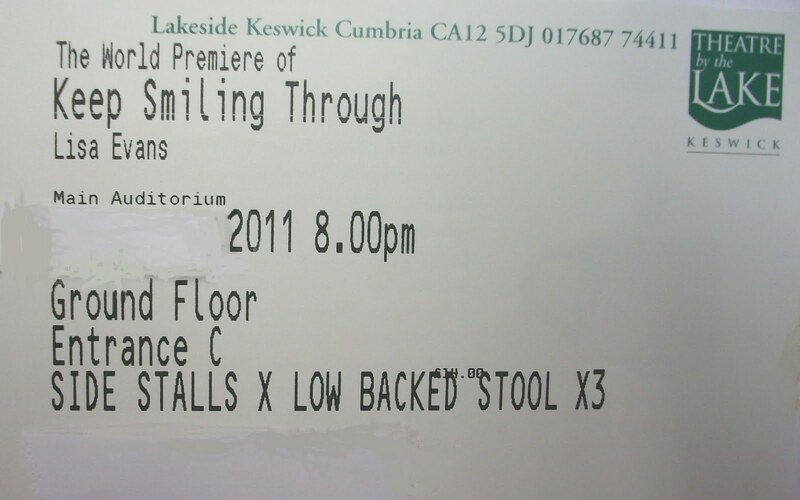 This is the basic infrastructure of people and events in wartime Keswick upon which the fictional story of 'Keep Smiling Through' is based. In fact, many of the references in the play to people, places and events actually happened. While researching the background to the play, the writer and playwright Lisa Evans visited Keswick Museum to study the personal memoirs of the evacuated children and refugees deposited there as well as talking to local people, local and social historians as well as visiting the Imperial War Museum. Music, singing and dancing remained an important part of life during the war years, and all these things were incorporated into the play. Joining the professional cast who played the principal characters in the play were a a small team of local schoolchildren. 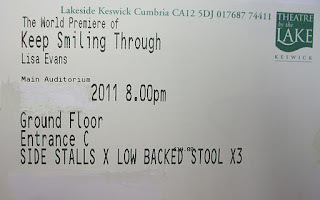 During the 2011 season the play attracted almost a full audience each night. 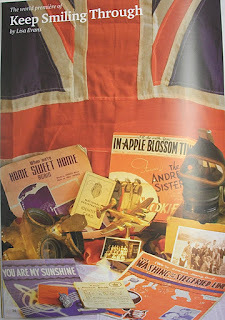 Its appeal was for all ages from primary school children to the wartime generation. Family life, music, song and dance appeals to all generations. In 2010 Mr Brian Wilkinson - a Keswick local historian and volunteer helper at the 'Theatre by the Lake' - edited the reminisces of wartime evacuees and refugees held by Kewick Museum and Art Gallery into book format. The resultant book - "A Safe Haven" - came out in 2010. Many of the reminisces were incorporated into Lisa Evans' play. As well as being a collection of wartime stories Mr Wilkinson's book also tells of love and security for a generation of children forced to come to terms with separation from home, family and friends. Good times and bad, happy times and sad - they are all here and related by those who experienced all of these these things. The rural tranquility of the Keswick area would never be quite the same again after the 'invasion' of the children and scholars in 1939 and 1940. Likewise, those same children would never be the same again. In spite of everything, one would like to think the changes to their lives were mostly for the good. "At one house fancy dress, Elisabeth Hall, Susan Lloyd Williams and I dressed up effectively as Hitler Youth. Later that Saturday evening we went on to the station platform and passengers were alarmed to see a line of goose-stepping, saluting brown shirts advancing in them." "One winter it was so cold Derwentwater froze over. Mrs Colbeck took me skating on the lake. She sent me a pair of Victorian wooden skates - no metal runners. I never mastered them and spent most of the time on my backside." Wilkinson, Brian (Ed. ), "A Safe Haven: Evacuees in Keswick 1939 - 1945", 238 pages, Bookcase, Carlisle, Cumbria. Price - £12. The quotation about the lake (Derwentwater) freezing over during the winter was made by evacuee Tom Joyce of Newcastle-upon-Tyne. It is not that uncommon for at least part of the lake to freeze over during the winter months. However, the ice is not always of sufficient thickness to skate on.